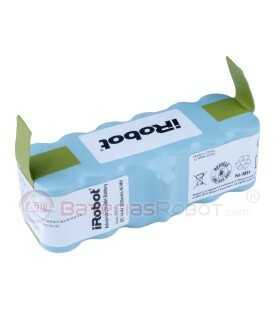 Li-ion battery 100% compatible Roomba battery iRobot for all models 500, 600, 700, 800 series. 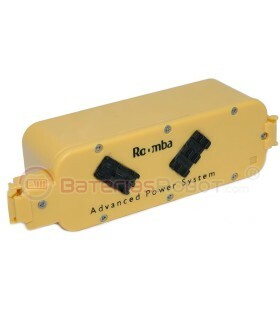 Li-ion battery (Lithium ions) offered by BateriasRobot, a 100% compatible with all models from Romba 500, 600, 700 and 800 series. 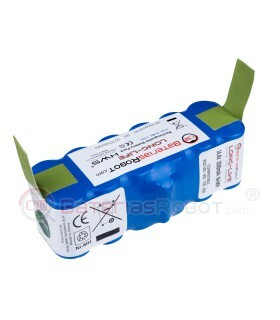 UDBAT is made with high-quality Li-ion cells. On its inside has a circuit that adapts the original charging system from Roomba Ni-MH to Li-ion technology. This circuit, at the same time, contains security systems that prevent from any loading and unloading problem. Its compatibility is absolute and cannot damage your robot. Technology used by iRobot on its batteries from models in 400, 500, 600, 700 and 800 series is based in Ni-MH cells. 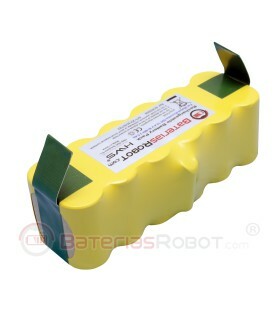 This type of batteries perfectly achieve the expectatives of most customers. The trademark itself agrees that the estimated duration is between a year and a half and 18 months, even though this depends of the use. 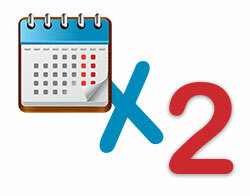 It is normal that they can work for more than two years, not reaching the third year with a full performance. 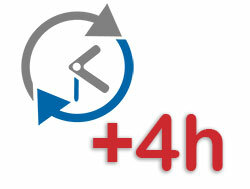 High-quality Ni-MH supports around 500 cleaning cycles. 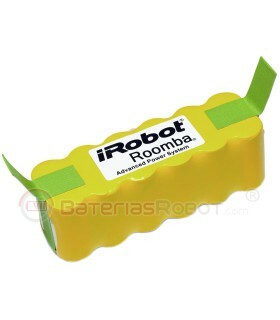 Compatible batteries with Roomba UDBAT from BateriasRobot use Li-ion technology (Lithium Ions) with high quality cells, this technology is much more stable and long-lasting than the one made of Ni-MH (Nickel Metal Hidryde) and can double the number of cleaning cycles with a better performance. Li-ion has a performance curve much more constant than Ni-MH, this means that it will keep a constant energy during more cycles. 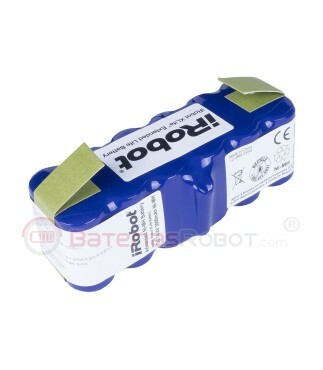 UDBAT battery, compatible with iRobot Roomba, has a 4700mAh charging capacity and will clean for more than 4 hours. 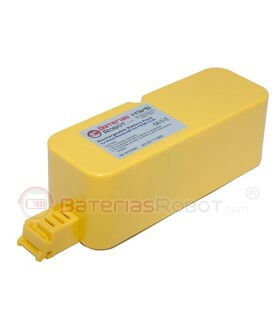 This battery is perfect for big flats or houses with several floors. 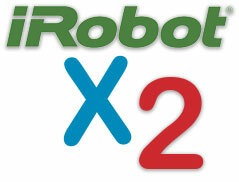 You will be able to clean two different floors without needing to charge the robot. Roomba will only clean during more than 4 hours if the robot thinks that it is necessary, if the house is big enough or if the Dock is disconnected, forcing it to clean until the battery runs out. BateriasRobot offers 12 guarantee months for any abnormal loss of performance on his batteries, double than the original iRobot batteries. 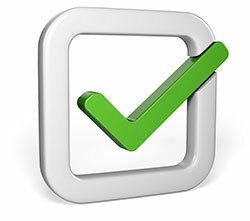 Regarding to the batteries guarantee, the Spanish actual normative establishes a 6 months period guarantee against abnormal loss of performance and a two-years guarantee against manufacture defects. All models of iRobot Roomba of the 500 series. Like, for example: 505, 510, 520, 530, 531, 532, 534, 535, 540, 550, 555, 560, 562, 563, 564, 580, 581, 600, 610, 625, 700, 760, 780, 880, 870. All models of 500, 600, 700 y 800 series just like all its variants with PET name specially designed for pets.